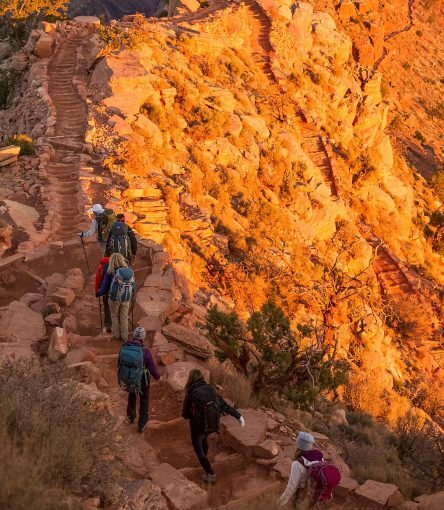 The Grandview Trail to Horseshoe Mesa Grand Canyon backpacking trip is a challenging hike to a beautiful secluded location within the Grand Canyon, rich in history and geology. Horseshoe Mesa juts out above the Redwall limestone like a lush island on a rocky pedestal in the midst of the vast canyon. The Grandview Trailhead is located at the site of the former Grandview Point Hotel – one of the first Grand Canyon lodging options ever built. The location of the hotel was chosen for its stunning vistas as well as access to mining sites within the canyon. Important! Due to Grand Canyon’s permit system, AOA recommends that you book your Grand Canyon backpacking trip 5 months or more in advance. Early reservations will receive a 5% discount. Read about permitting in the Grand Canyon. Grand Canyon National Park issues backcountry permits through a lottery system. All commercial outfitters are subject to this lottery system the same as the public is. We offer a 5% discount for registering 5 or more months in advance and early registration means you can pick any dates. We are required to have at least one registered guest to apply for a permit. We apply for permits 4 months in advance on the 1st of the month (see table below). We have a good success rate with securing permits if you register before the dates as specified in the table below. If unsuccessful your deposit is fully transferrable or refundable. Groups of 5 or less have a higher success rate than large groups. The more flexible you can be in your planning, the better our chances are of securing your permit. 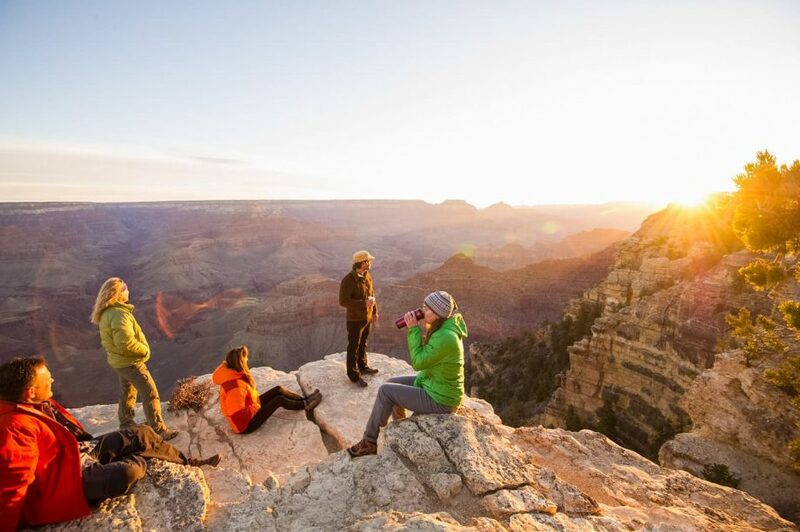 Over this three day Grand Canyon Backpacking trip, you will explore the carved out landscape around the mesa, punctuated by pine trees and old mines shafts – the exploratory ventures of gold-thirsty pioneers. 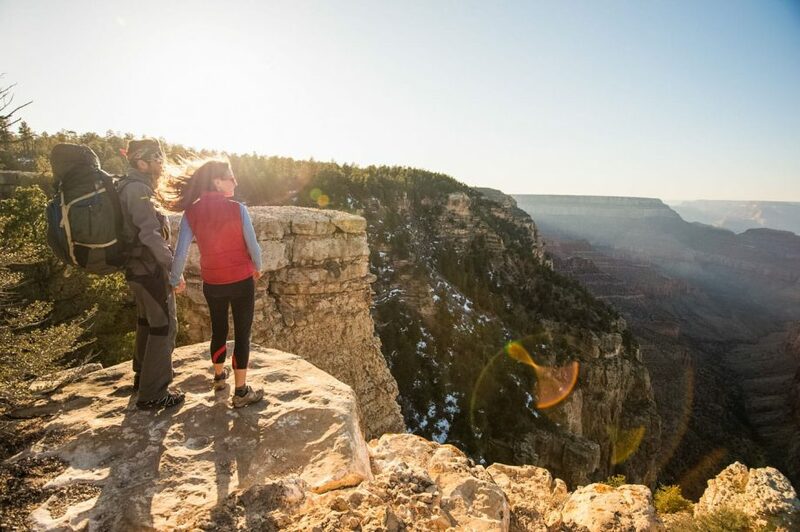 With your guides beside you to share stories, Grand Canyon facts, answer questions, and introduce you to the diverse wildlife in this part of the canyon, allow yourself to be captivated by the grandeur of your surroundings. This guided backpacking trip, though not so very far away from the rim, leads you into a world apart, a place rich in canyon history, surprisingly isolated, full of wild beauty. Trip Start: Meets in Scottsdale, AZ at 6am on day 1. Trip End: Drops off in Scottsdale, AZ between 6 – 8pm on day 3. Your guides will meet you at your hotel in Scottsdale at 6am to begin your journey to the Grand Canyon. From the aptly named Grandview Trailhead, located at the site of the former Grandview Point Hotel, we’ll make our descent along an ancient Indian route. This Grand Canyon trail was rebuilt by a prospector named Pete Berry in 1892 and though it was more than a century ago, Berry’s presence is still evident along the route. Berry constructed the first trail supports with the canyon’s plentiful juniper-logs, stabilizing the descent through the Coconino sandstone layer. Winding down the cobbled switchbacks which no Grand Canyon map can do justice, the Sinking Ship butte rises an impressive 7,344 feet ahead of you. 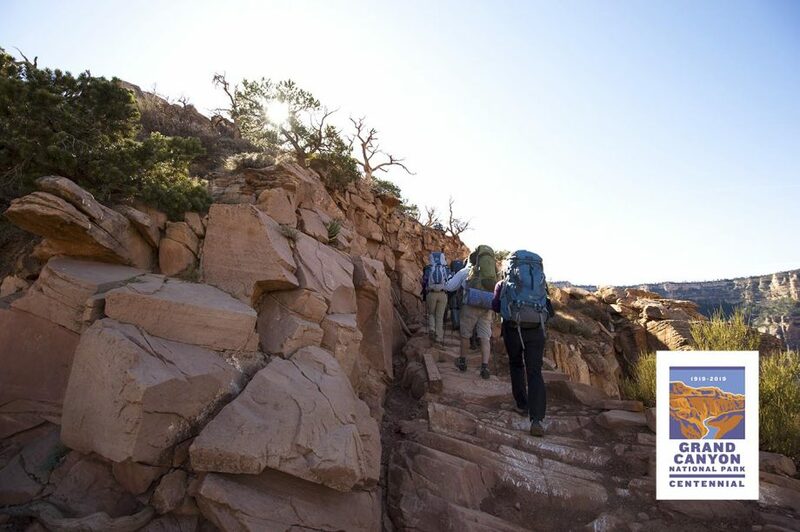 To access the Mesa and your campsite, the trail descends through the red rock layers of the Supai group. As it snakes along the red slopes of the mesa, look for the colorful blue and green rock fragments, this malachite and azurite is indicative of the rich copper ore that brought prospectors to this part of the canyon. Once on Horseshoe Mesa one quickly comes to the ruins of Pete Berry’s stone cabin, and the campground is set amongst the juniper just beyond the ruins. Enjoy a pleasant evening gazing out at the views in every direction from your secluded island in the sky. 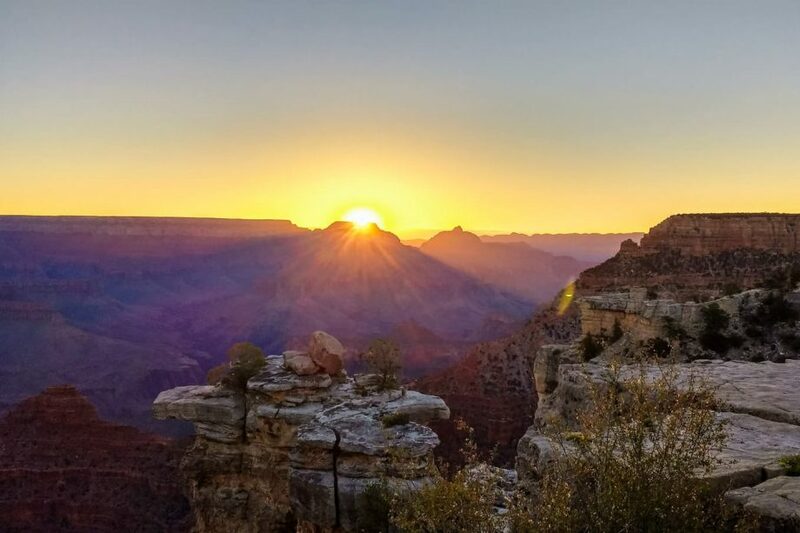 Perched high atop the Redwall limestone at the Horseshoe Mesa campground, you simply cannot miss the opportunity to catch the kaleidoscope colors of the sunrise. 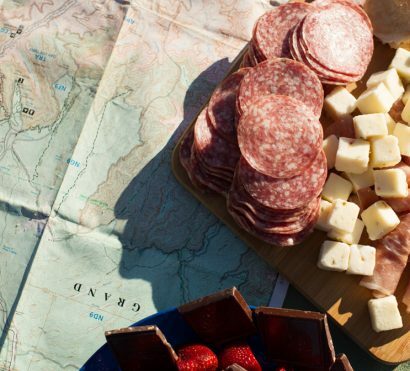 After a delicious breakfast prepared by your guide, a full stomach and dialed backpack set you up for a day of exploration in the Grand Canyon awaits you. Possibilities include exploring the Cave of the Domes, an intriguing cavern carved into the Redwall limestone, hiking to the springs in Cottonwood Creek, or circumnavigating Horseshoe Mesa itself. The route around the mesa follows Cottonwood creek down to the Tonto Trail where it opens up to your first glimpse of the inner canyon and the Colorado River, listen for the muffled roar of Sockdolager Rapids below. Hugging the west rim of Hance Creek Canyon, the trail cuts across a ledge in the Tapeats sandstone, the creek a sheer 800 foot drop below, until it emerges into a traverse leading up to Miners Spring and eventually Horseshoe Mesa. End the day on your island mesa in the sky with a delicious meal and world-class stargazing. Today we breakfast and break camp early to make the most of the cool morning air. The hike out will take longer than the hike in, but your guide will remind you to stop for water and to take in the incredible views. Looking out to the canyon behind you affords a new perspective; try to catch a glimpse of your camp atop the mesa. Pay attention to the rock layers of the canyon as you look up at the towering walls along the trail ahead of you. Hiking in Grand Canyon is a walk through time, each rock layer a reminder of the dynamic geologic history of the Southwest. The marks that humans have made on this part of the canyon are miniscule in comparison with the immensity of the natural forces at work. Back on the rim again, take a moment to drink in the view of the landscape before you as you shake the dust off your hiking boots. After a relaxing lunch at the rim, you will return to Scottsdale and should be back to your hotel by late afternoon. 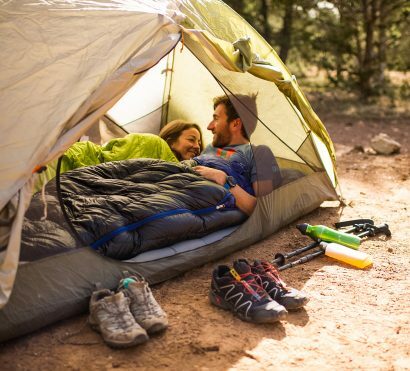 Cell service & Electricity: While backpacking Grand Canyon, you will not have cell phone service, you should expect to be unreachable by phone. There is no electricity available. Bring a portable battery to charge your phone for photos. Bathrooms/Showers: During this trip we will not have access to showers or bathrooms. We will follow Leave No Trace principles for waste management while in the canyon. Access to water: Water is a precious resource in the canyon. We will filter our drinking water from reliable springs and must carry large quantities with us at all times. This backpacking trip requires that you carry all you need and a portion of the group gear on your back during the hike into and out of the canyon. Expect to carry about 35-50lbs in your backpack. The Grand Canyon’s trails have significant elevation change. On any Grand Canyon backpacking trip you will always do the hardest work, hiking up, when you are the most tired. Many of the trails we hike in the backcountry are not well-maintained, steep, and rugged. All backcountry campsites are primitive.